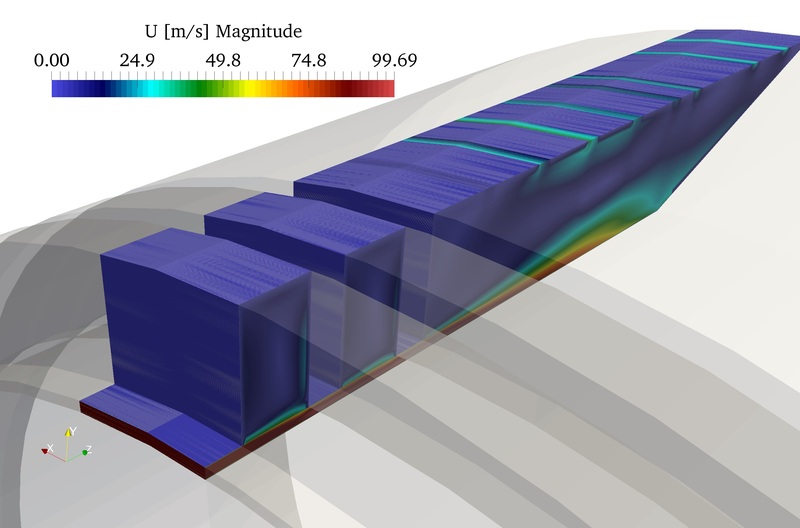 At Polydynamics we use OpenFOAM (www.openfoam.org) frequently. Some screenshots of our computer simulations are shown below. 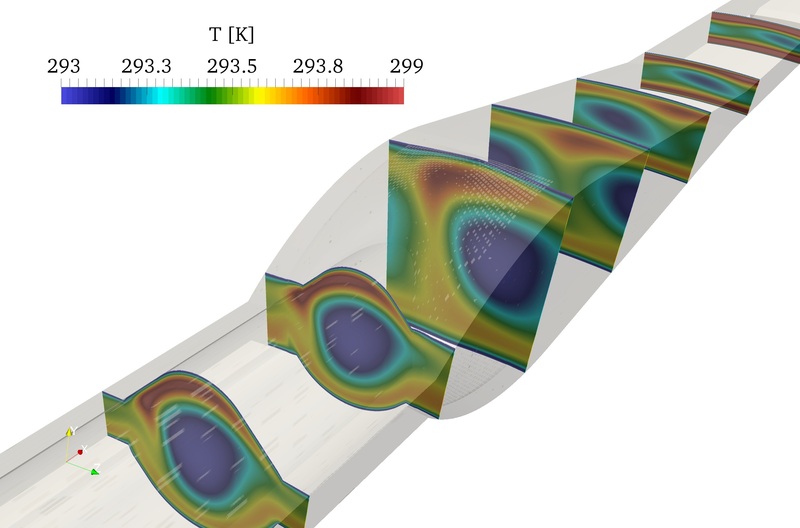 Temperature distribution in a portion of a rotating extrusion die. 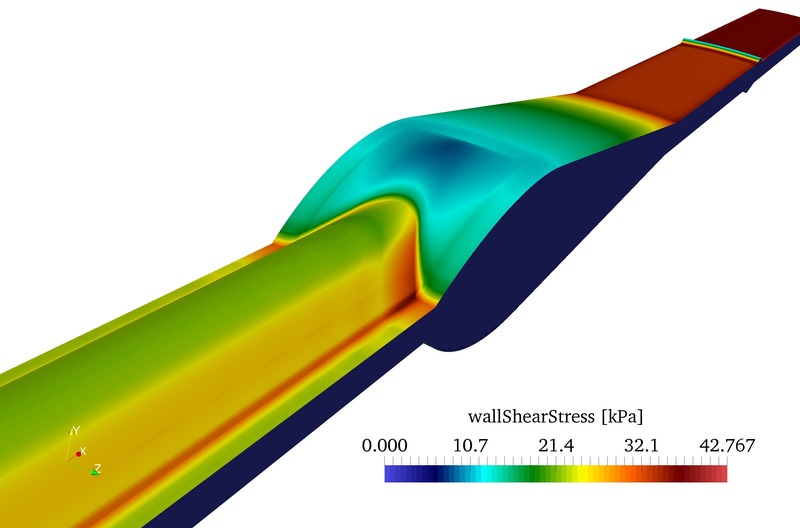 Wall shear stress distribution in a portion of a rotating extrusion die. Velocity distribution in a portion of a counter-rotating extrusion die. 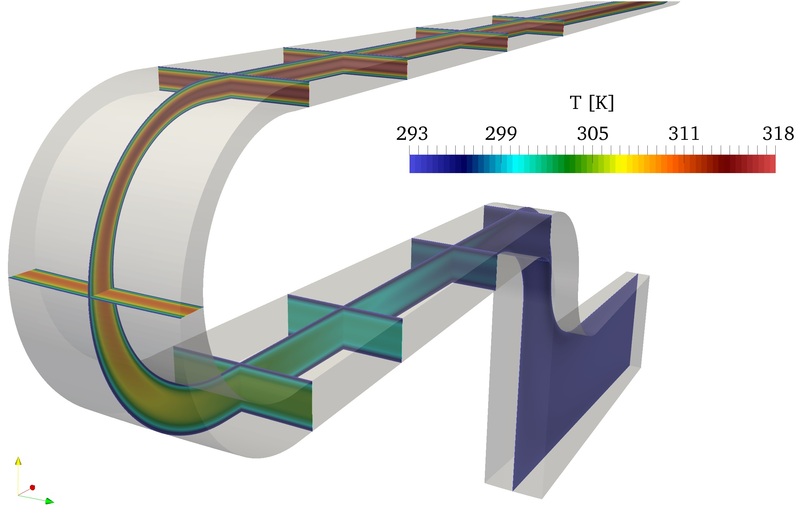 Temperature distribution in a portion of a counter-rotating extrusion die. 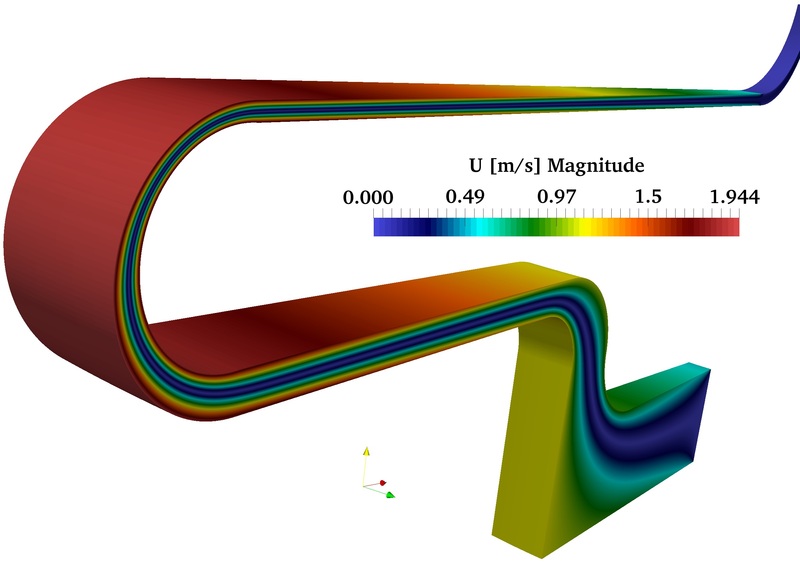 Air velocity distribution in a portion of a pipe extrusion die.